Brandt joined Watsi on November 30th, 2013. 11 other people also joined Watsi on that day! 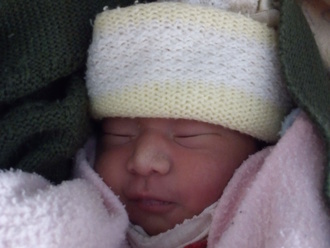 Brandt's most recent donation supported Cho, a young girl from Burma, to fund treatment of a spinal birth defect. Brandt has funded healthcare for 22 patients in 10 countries. Cho is a two-year-old girl who lives with her parents and older sister in Burma. Since birth, Cho has had a mass protruding from her back. Eventually, she was diagnosed with spina bifida, a birth defect that prevents a baby's spinal cord from developing properly. To avoid future complications, Cho will receive treatment at our medical partner's hospital, Maharaj Nakorn Chiang Mai Hospital, on March 30. The procedure will cost $1,500. Surgeons will operate to correct the spinal malformation. Cho's mother says, "I want my daughter to grow up well and go to school in the future." 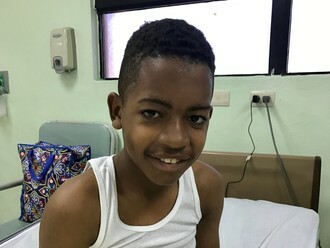 Ariel is a 13-year-old boy from the Dominican Republic who lives with his parents and three brothers. He is currently in the seventh grade and aspires to become a farmer, just like both of his parents. Ariel was born with a heart condition called coarctation of the aorta. His aorta is abnormally narrow, making it difficult for blood to pass through it. This causes his heart to pump harder to push the blood through, which leads to heart failure. 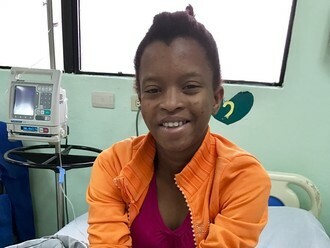 Although Ariel is not Haitian, our medical partner, Haiti Cardiac Alliance, is collaborating with their partners in the Dominican Republic to offer treatment to Dominican children. He will undergo cardiac surgery at our medical partner's care center. First, Ariel will undergo a full cardiac assessment on February 15. This assessment will include physical exams, labs, and an overnight stay at the hospital. Haiti Cardiac Alliance is requesting $1,500 to fund these procedures. Funding for Ariel also covers the cost of medications and social support for him and him family. Gift of Life International is contributing $7,000 to cover additional costs associated with Ariel's surgical care. "I am excited to get my heart fixed so that I can play baseball with the kids in my neighborhood!" says Ariel. "I missed a lot of school last year because my heart made me too sick to go," shares 16-year-old Alex. "I'm excited for my surgery so that I can go back to school every day." Alex lives in Port-au-Prince, Haiti, with his parents, two sisters, and one brother. He is in the ninth grade and would like to go to college in the future. He enjoys listening to soccer games on the radio and spending time with his friends. Alex has a condition called severe rheumatic mitral regurgitation. The mitral valve of his heart became severely damaged by an infection and can no longer pump blood to the rest of his body. As a result, blood backs up into his heart, leading to heart failure. Alex needs open-heart surgery to either repair or replace the valve. Alex will fly to the Cayman Islands to receive treatment. On January 24, he will undergo cardiac surgery. This $12,000 surgery is subsidized by Have a Heart Cayman Islands, an organization that helps subsidize and provide life-saving heart surgeries to children from the Caribbean and around the world. Alex's family also needs help to fund the costs of surgery prep. The $1,500 bill covers labs, medicines, and checkup and followup appointments. It also supports passport obtainment and the social workers from our medical partner, Haiti Cardiac Alliance, who will accompany Alex's family overseas. 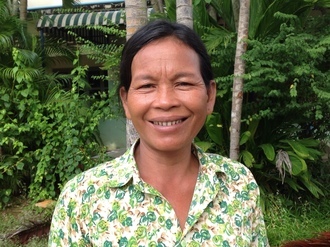 Meet Im, a 57-year-old married mother from Cambodia. Im has four sons and two daughters. She enjoys watching TV and looking after her grandchildren. 20 years ago, Im developed a tumor on the middle finger of her right hand. The mass has been growing in size over the past two years. It is extremely difficult for Im to use her finger, and she is in pain. Im visited our medical partner's care center, Kien Khleang National Rehabilitation Centre. She is scheduled for surgery to remove the tumor on January 17. For $224, we can help fund Im's surgery, so that she will be pain-free and able to play with her grandchildren! Channy is 21 years old and in the twelfth grade. She has four sisters and four brothers. In her free time, she likes to read books, cook, and watch TV. When she was six years old, Channy developed a cholesteatoma in her right ear. A cholesteatoma is an abnormal skin growth behind the ear drum. It causes her ear discharge, hearing loss, pain, and itchiness. She went to a hospital in Phnom Penh for treatment, but her symptoms did not improve. When Channy learned about our medical partner, Children's Surgical Centre (CSC), she traveled for two hours to seek treatment. 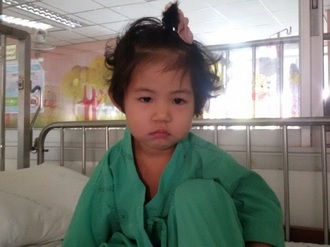 On January 3, surgeons at CSC performed a mastoidectomy procedure in Channy's right ear to remove the cholesteatoma. This procedure should improve Channy's hearing. CSC is requesting $842 to fund this treatment. "I hope to have no more pain and good hearing," says Channy. "I hope it will be easy for me to communicate with other people. I want to work in the bank in the future." Soe is a 35-year-old Burmese man who lives in a refugee camp with his wife and four daughters. His family moved to the camp to access education for his daughters. In his free time, Soe enjoys tending to his small garden. In 2009, Soe began to feel tired all the time. He had difficulty breathing, eating, and sleeping. His stomach swelled, and he experienced unexplained dizziness. When he visited a clinic, he was given medication but received no explanation of his condition. Over the next few years, Soe managed his symptoms with medication. After undergoing ultrasounds and x-rays at a hospital, he was diagnosed with chronic heart failure, atrial fibrillation, and severe mitral valve stenosis. He was referred to our medical partner’s hospital. On December 13, he underwent a mitral valve replacement. Soe used to work as a day laborer, but his condition has prevented him from working. His wife supports the family by selling vegetables that they grow on their small plot of land. They also receive rations from the camp. Soe is requesting $1,500 to fund his healthcare. Let’s help support his family! Yolanda and her twin sister Milvia were a huge surprise for her parents--they did not realize they were having twins! Even though this was a great surprise, it has been difficult for their family since Yolanda's mother is unable to produce breast milk, leaving her hopeless to her daughter's crying for milk. Her only option is to give her daughter sugar water to fill her belly and help her sleep. This is a delicate age as, without formula, Yolanda could face risk of seizure due to electrolyte imbalances, life-threatening diarrhea or other infection, and it could impede brain development. Yolanda lives with her 6 brothers and sisters in a rural Guatemala. Together they live in a humble adobe home with a tin roof, where her mother spends her days weaving traditional Mayan textiles and taking care of the kids. Unfortunately, even if they spent every cent they had, they would not be able to afford the life-saving formula that their daughter needs. Although dangerous, treatment for lactational failure is simple. Yolanda will begin to receive formula on October 16, and her parents will receive in-home motivational nutrition education, both helping her gain weight and grow well now, and giving her family the tools to prevent future cases of malnutrition in the long run. Flavio lives in a humble home in a remote village in the mountains of Guatemala. He used to work as a farmer, but now he is unable to see and cannot do it anymore, even though he is still very physically active. Flavio is an incredibly selfless father and grandfather. He has five children, and 21 grandchildren who all live with him and his wife in their small home. One of his daughters has special needs, so he spends most of his days taking care of her since he is unable to work on their plot of land anymore. 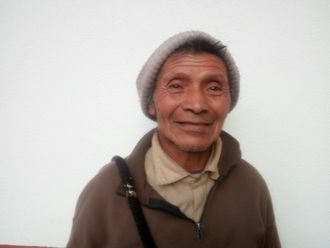 Flavio has cataracts in both his eyes, which have been bothering him for as long as he can remember. In the past couple years, he has not been able to even go to the corner store without help, because he is not able to tell apart the different bills and coins. This makes him frustrated. He lacks the independence to do even simple things on his own, but he wants to be more helpful to his family. Surgical treatment will give Flavio the independence that he has been craving--he will no longer be held back by his poor vision. He will be able to go to the store on his own, and maybe even help out on the farm once his vision is repaired--giving him another chance to do all of his favorite things that he hasn't been able to do for years. Flavio shares, "I am happy because my vision is going to get better. When I can see better I will be able to continue working and walking around my village without having problems." Yem is an 83-year-old woman who is married with two sons, two daughters, and twenty grandchildren. She is a nun at the local village's pagoda. She enjoys reading books and cleaning around the pagoda during her free time. Four years ago, Yem developed a cataract in each eye. Because of her condition, she has blurred vision, tearing, and photophobia. She can't see clearly or go outside on her own. She traveled one hour with her grandchild to reach a Watsi medical partner, Children's Surgical Center, for treatment. $292 will cover surgical costs to remove Yem's cloudy natural lens and to insert an artificial lens for each eye. After a small incision cataract surgery and intraocular implant in each eye, Yem will be able to see clearly again.